We export our Metal Plated Pins to Australia/NZ, Indian Subcontinent, East Europe, Central America, North Europe and South/West Europe. 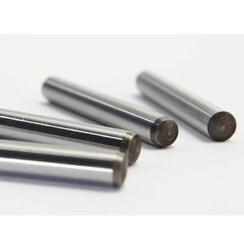 Offered by us is superior quality Metal Hardened Pins to the OEM customers at highly competitive prices. These Hardened Pins are manufactured as per our clients' exact requirements, which helps us in attaining their maximum level of satisfaction. Besides, we make sure that the ordered products are delivered on time. Corrosion resistance by surface coat as per requirement. We are manufacturer & exporter of Hardened Pins with the finest quality steel. 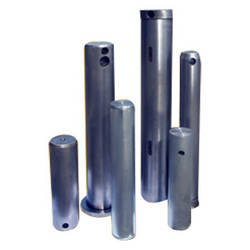 Hardened Pins which are manufactured as per customer drawing are normally used for welding on Boom/backhoe etc. Strict quality control measures are taken at every step and all items are thoroughly checked before they are passed for final delivery. Looking for Metal Plated Pins ?